Since the Xiom Intro Classic is part of a series of bats which were tested intensively by us, we truly recommend this bat. 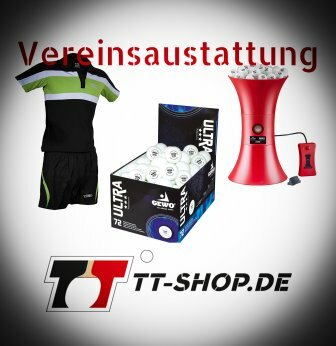 It was designed for players changing from the typical allround style (ALL) toward the allround plus (ALL+) style. The career of many hobby table tennis players, kids, and adolescents follows a certain pattern. 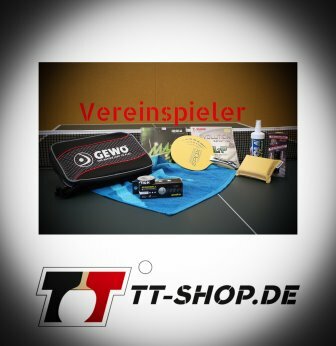 After the first enthusiasm when playing table tennis as a hobby, one joins a table tennis club. 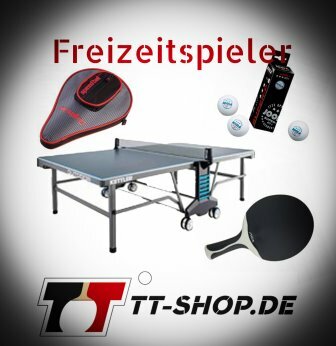 Not later than at this time, the first professional table tennis will be bought. Most people trust the knowledge of traders and get a typical allround bat, which is suitable to learn various techniques. After having learned various techniques (such as chopped balls, topspin, backspin, counter. etc. ), the way of playing becomes more active in general. The better the material is attuned to this new strategy, the more successful it becomes. The Xiom Intro Classic is our recommendation for ALL+ (allround plus)! The rubber, mounted on both sides of the blade, is the Xiom Vega Intro. This rubber perfectly suits the active allrounder with forward orientation. The integrated speed-gluing effect is nice and gentle, good to control, and not too fast. The rubbers are ideal to get familiar with the so called tensor rubbers, which are even more explosive. Considering the name Xiom Intro Classic, one may suspect a quite slow, controllable blade. However, it is somewhat faster and more suited for the ALL+ style. This blade was especially designed for players, who rely on a good feedback of the ball for one part. For the other part, this blade also provides lots of power in active gaming situations. The combination of blade and rubber can truly be referred to as harmonic. The Xiom Intro Classic is the best choice for players who frequently choose the option of tactical changes from a safe game toward a controlled offensive.